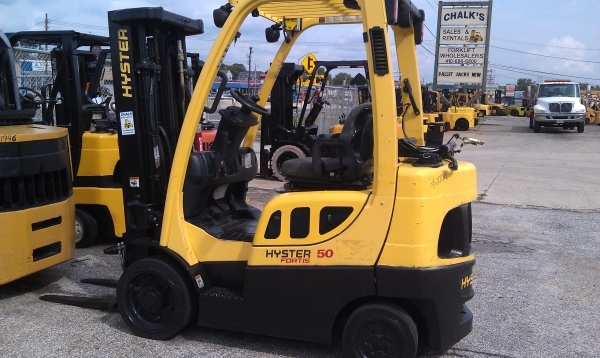 Hyster 5,000 lb Capacity Forklift. 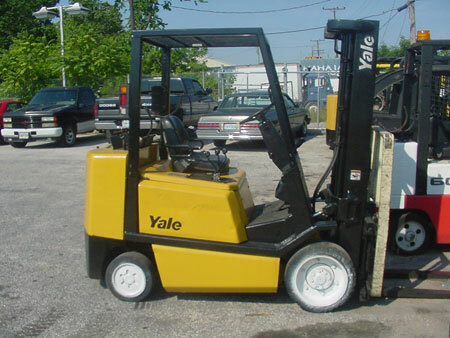 Year 1994, Triple Mast, Propane. 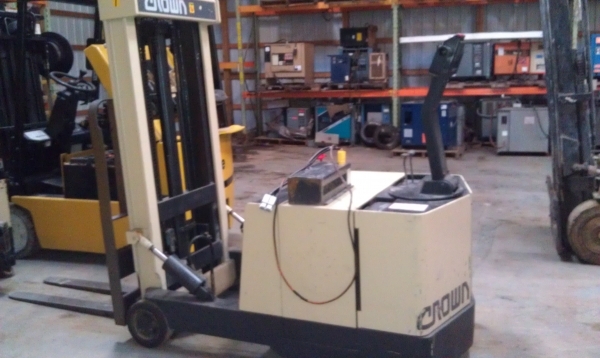 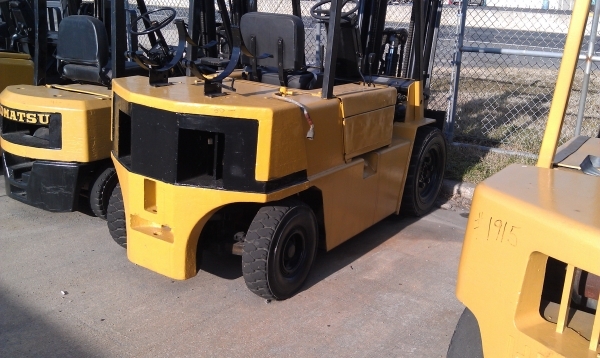 Daewoo 5,000lb Capacity Forklift. 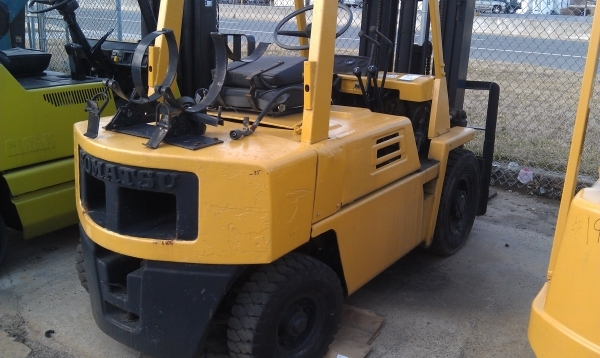 Year 2000, Three Stage Mast, Side-Shift, Propane. 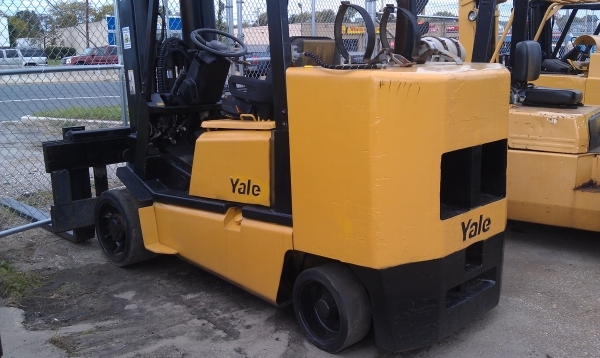 Yale, Year 2004, 12,000lb Capacity, LP Fuel Type, Solid Tires. 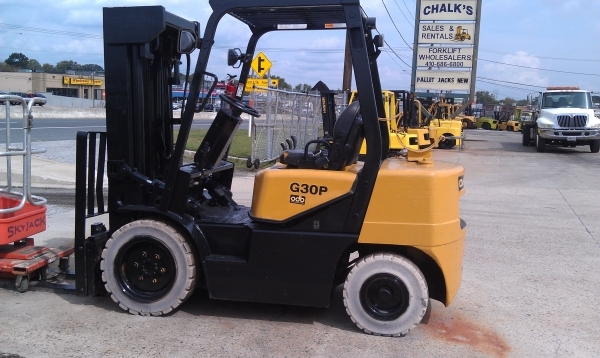 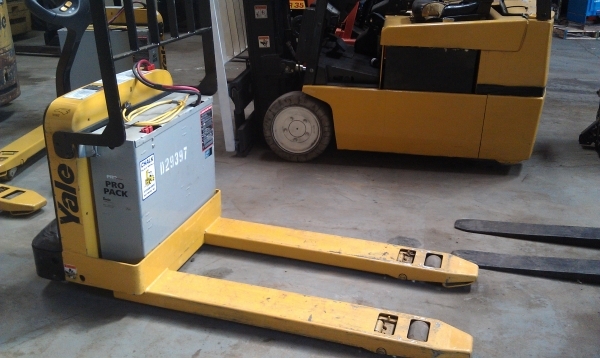 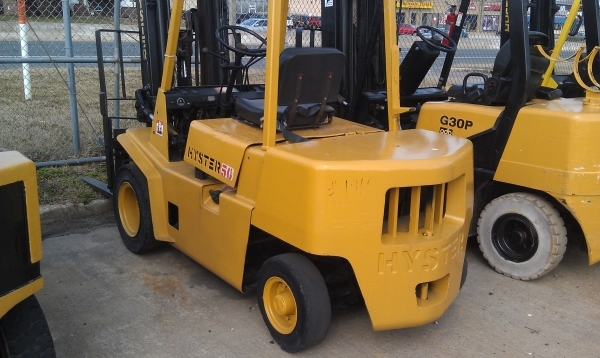 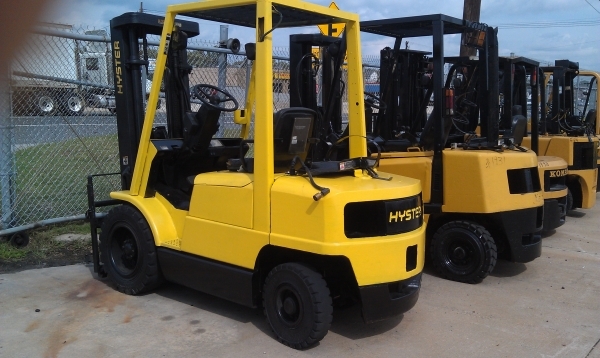 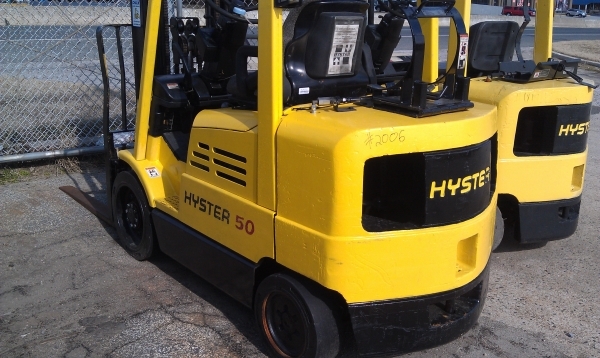 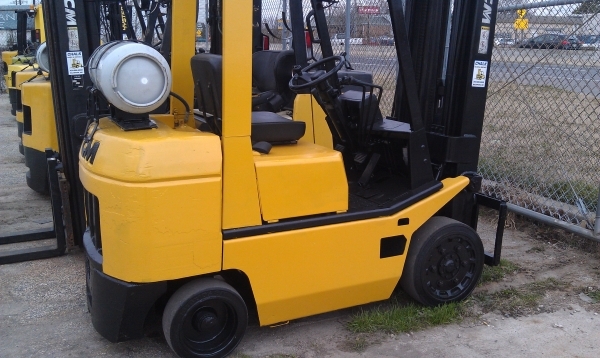 Hyster, Year 1999, 3,500lb Capacity, Electric, Solid tires, Model #E35XM. 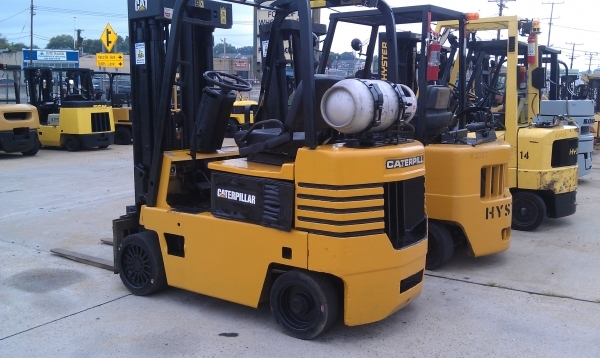 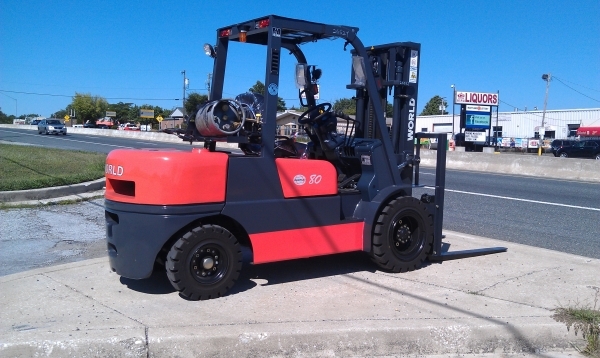 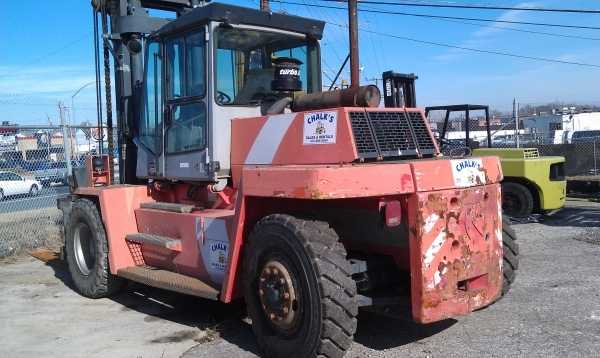 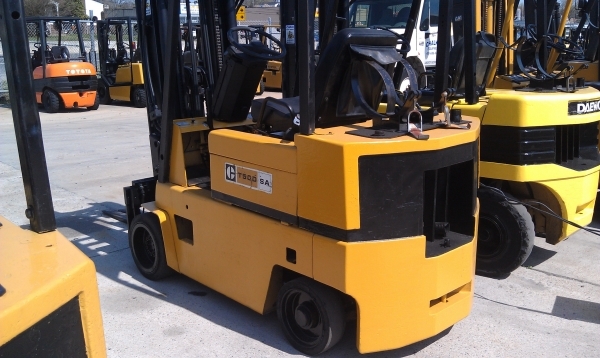 Clark 6,000lb capacity forklift, Year 1999, LP fuel, solid tires. 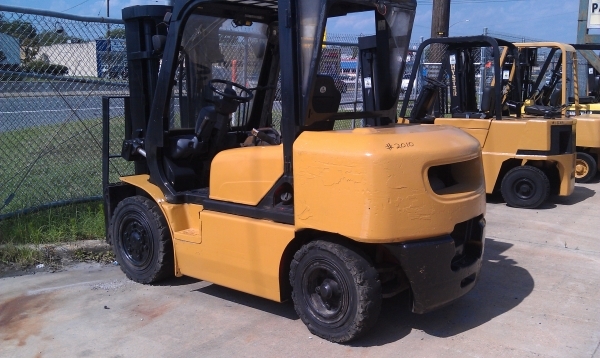 Daewoo, Year 2003, 8,000lb Capacity, LP fuel, Air tires, Model #G40S.